Delicate straps set a beautiful, feminine tone for the Aubriel Wedding Dress, featuring embroidered lace through to a full gathered tulle skirt. The Aubriel Wedding Dress features embroidered lace appliqué over a delicatley thin strapped bodice. 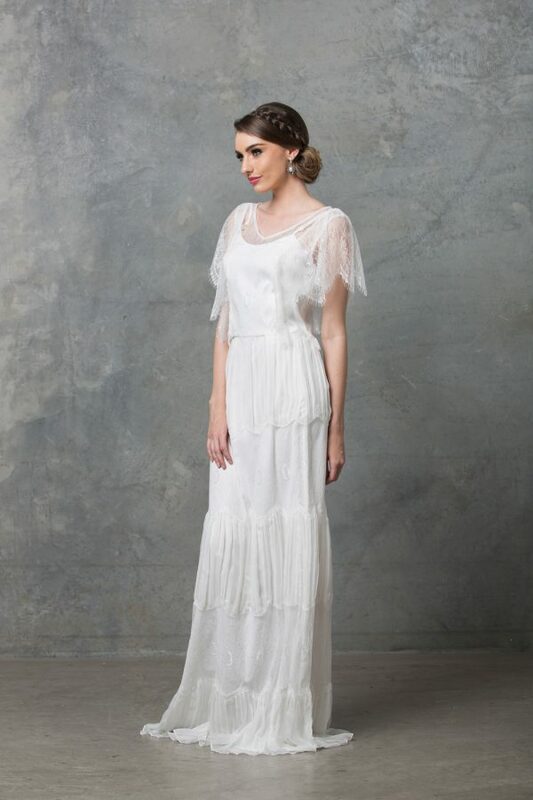 Set over a full gathered tulle skirt this romantic silhouette makes the perfect destination wedding dress.